The Voice of Greece is an unpredictable broadcaster these days. VOG is not on the air as much as in the past and doesn’t seem to follow a broadcast schedule. I only hear them perhaps once or twice per week now. But I’m not complaining–after all, this is a shortwave broadcaster that basically came back from the dead. I love VOG’s music programs and last night their Avlis transmitter was fired up and relaying some wonderful tunes. I also had the TitanSDR simultaneously recording pirate radio spectrum just below the 40 meter ham band. I’m saving that bit of spectrum for a rainy day! Anyone else tune to VOG last night? This entry was posted in Broadcasters, Music, News, Recordings, Shortwave Radio and tagged Alvis, Recordings, Shortwave Radio Recordings, VOG, Voice of Greece on January 30, 2016 by Thomas. A few days ago, I tuned to 9,420 kHz and found a relatively strong signal from the Avlis transmitter site of the Voice of Greece. The broadcast was quite clear until a heterodyne (het) tone popped up out of nowhere. I checked the spectrum display of my Excalibur to find two steady carriers located about .5 kHz off each side of VOG’s AM carrier. I assume this may have been a faint digital signal centered on the same frequency as VOG. The noise was annoying, but SDRs (and many tabletop radios) have tools to help mitigate this type of noise. The het tone was originating from both sidebands of the VOG AM carrier (see spectrum display above). I had planned to use my notch filter to eliminate the noise, but I had two carriers to notch out and only one notch filter. The simple solution was to eliminate one of the carriers using my SDR’s synchronous detector which can lock to either the upper or lower sideband. In this case, it didn’t make any difference which sideband I locked to because both had similar audio fidelity and were otherwise noise free. In the end, I locked to the lower sideband, thus eliminating the het in the upper sideband. Next, I enabled my notch filter and moved its frequency to cover the annoying het carrier in the lower sideband; I kept the notch filter width as narrow as I could to preserve VOG’s audio fidelity. You can see the notch filter location and width in the spectrum display above (the notch filter is the thin yellow line). I should note here that the great thing about using an SDR–or tabletop receiver with a spectrum display–is that you can see where the noise is. I was using my WinRadio Excalibur, but pretty much any SDR in my shack could have handled this task. The results? No het tone and I was able to preserve the great audio fidelity from the Voice of Greece broadcast! This entry was posted in AM, How To, News, Recordings, Shortwave Radio, Software Defined Radio, What's On Shortwave and tagged AM synchronous detector, How to use notch filter, How To Use Synchronous Detection, Notch filter, Recordings, VOG, Voice of Greece on September 1, 2015 by Thomas. 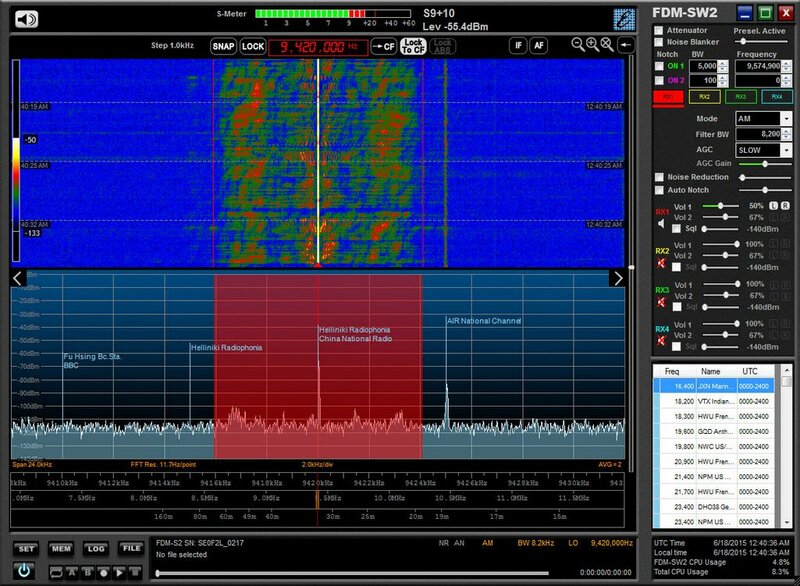 Early this morning, around 01:14 UTC, I tuned to 9,420 kHz with the Elad FDM-S2 and heard the Voice of Greece for the first time since the Greek national broadcaster, ERT had been restored. 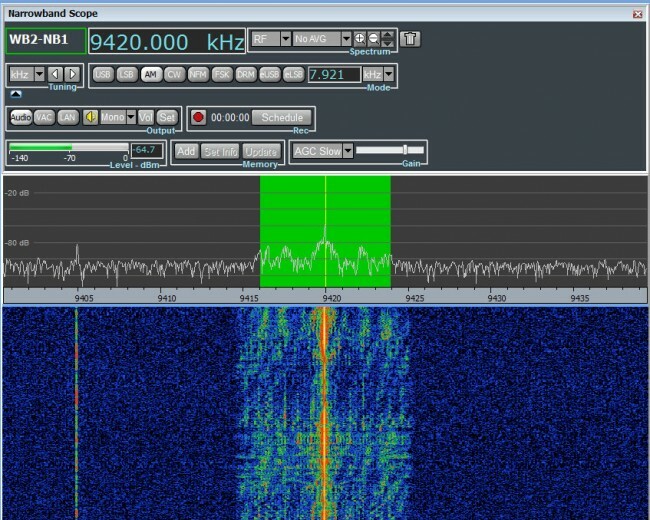 “Greece is back on 9420 kHz this evening after being absent for some days and is now carrying the Voice of Greece […] program and not ERT from Athens or Thessaloniki. Noted with good signals in eastern Canada at 01:40 UTC. Radio audio is about half a minute delayed with respect to Internet stream: […](http://www.ert.gr/i-foni-tis-elladas/?). Not noted on other frequencies. Many thanks for sharing the details, Richard. My recording actually ended when VOG signed off–I suppose I caught about the last 46 minutes of the broadcast. This entry was posted in Broadcasters, News, Recordings, Shortwave Radio, What's On Shortwave and tagged ERT, Greece, Richard Langley, VOG, Voice of Greece, Voice of Greece Shortwave on June 18, 2015 by Thomas. SWLing Post contributor, Ayar, confirms that ERT employees did indeed returned to work yesterday after having been laid off nearly two years ago. 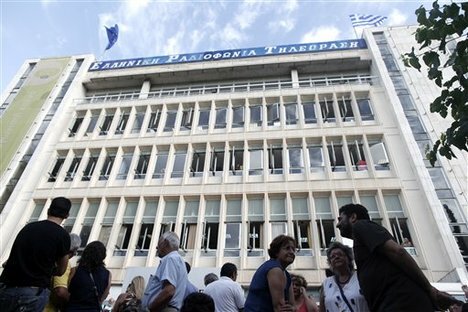 Ayar shares this link to GreekReporter.com which has full details. This entry was posted in Broadcasters, International Broadcasting, News, Shortwave Radio and tagged Ayar, ERT, ERT Cuts, POSPERT, VOG, VOG Cuts, Voice of Greece, Voice of Greece Cuts on May 12, 2015 by Thomas. 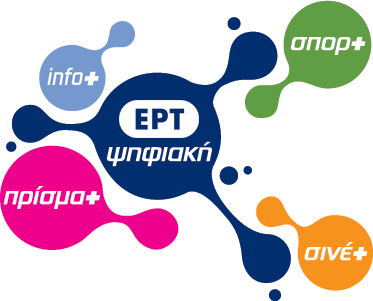 According to many Greek news sources, the workers of ERT will go back to work tomorrow to restart ERT and take over from NERIT, even though there is no explicit permission from the government for them to do so! This was a decision taken today by the ERT workers trade union “POSPERT”, who asked the workers to go back to work and start broadcasting from ERT HQ. (Here is the original decision published on their website translated from Greek by Google). It will be interesting to see what will happen! Indeed, it will! Let us know of any updates. I’ll tune to the ERT Open relay on 9420 this evening to see if IDs have changed. Again, many thanks for the report, Ayar! This entry was posted in Broadcasters, International Broadcasting, News and tagged Ayar, ERT, ERT Cuts, POSPERT, VOG, VOG Cuts, Voice of Greece, Voice of Greece Cuts on May 11, 2015 by Thomas.